Butterkäse, also known as Butter Cheese originated in Germany and is made throughout Germany and Austria. Its name literally means “butter cheese”, because of its butter-like texture. It is also called Dämenkäse or “ladies cheese” because it is delicately flavored, odorless and quite complementary to most foods. 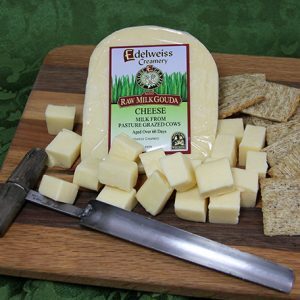 Butterkäse is produced at Edelweiss Creamery in the Alpine tradition. 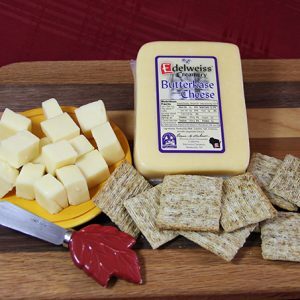 View cart “Butterkase 8 oz” has been added to your cart.